With its core proposition ‘WohZamaanaKareDeewana’, Zee Classic aims at reviving nostalgic moments and memories while providing wholesome entertainment. The channel celebrates the journey of the renowned filmmaker, Bimal Roy, with an exclusive five-part series titled, 'The Bimal Roy Festival presented by BomanIrani'. This weekend enjoy ‘Devdas’ on Saturday, 13th February at 8 PM. 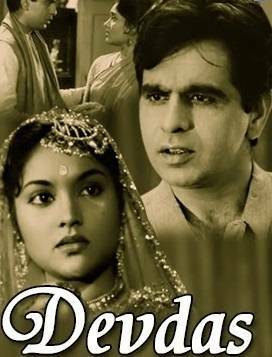 Based on a novel by Sharat Chandra Chattopadhyay called ‘Devdas’, the movie is a story of childhood lovers played by Dilip Kumar and Suchitra Sen. Some unknown facts about the film are that when Bimalda first offered the role of Devdas to Dilip Kumar, he was hesitant to play the role because he feared the character would be misleading to the youth. The casting for the female leads was another big battle. Bimal Roy’s first choice for Paro was MeenaKumari and Nargis as Chandramukhi. MeenaKumari did not accept the role because her husband laid down certain conditions, which Bimalda did not agree to. Nargis also refused because she wanted to play Paro and not Chandramukhi. Finally, Suchitra Sen was roped in for Paro and Vyjayanthimala for Chandramukhi. The movie revolves around Devdas(Dilip Kumar) and Parvati(Suchitra Sen) who are childhood lovers separated when Devdas moves away for further studies. When he returns to his village, Paro looks forward to their childhood love blossoming into a lifelong journey together with marriage. However, Devdas' parents are against the same. What follows is a gripping story of love, friendship, jealousy and pride.